Summary: Blu-rays come with some sort of encryptions which prevent the disc from illegal viewing and copying. While a Blu-ray decrypter can help you back up your encrypted BD disc. Here are the top 5 best Blu-ray decrypters for your reference. Blu-rays are meant for high definition entertainment. Normal Blu-rays are capable of giving 1080p picture quality. While 4K UHD Blu-ray discs are capable of giving 4K picture quality. Today Blu-rays have become the face of entertainment. If you love to watch high definition movies then investing in a Blu-ray player is obvious. But Blu-ray discs aren’t cheap and they can go bad overtime. Also latest movies Blu-rays come with some sort of encryptions which prevent the disc from illegal viewing and copying. But removing the encryption for personal use is completely find and you’ll also be saving your money by making a backup of your encrypted BD disc. So, in this article we are listing the top 5 Blu-ray decrypters 2019. DVDFab Blu-ray Copy is the number one Blu-ray solution for copying and decrypting BDs. With fiveunique copy modes DVDFab Blu-ray Copy seems to have no reliable competitor. With this software it is easier to decrypt your encrypted Blu-ray discs. You always have options to save those decrypted BDs as ISO, or folder and you can burn blank BD50 and BD25 discs with the built-in DVDFab burning engine. With this software you can also compress a Blu-ray disc content to fit on a BD25 blank disc or an ISO or a folder. 1. Full Disc: Copy the entire Blu-ray disc to an ISO (BD50,BD25) or a folder or directly burn it to a blank BD50 or BD25. 2. Main Movie: Only copy the main movie and skip the rest. You also have options to ‘Choose Other Titles’ and select multiple Blu-ray chapters for copying and save them as an ISO, folder, or burn to a blank BD50/25 disc. Only one title can be selected at a time in ‘Main Movie’. 3. Clone/Burn: Make a copy and burn the Blu-ray content to another blank BD50/25 in a 1:1 lossless ratio. 4. Customize: Copy any content from the Blu-ray disc you want. A Blu-ray has multiple video files. So in ‘Customize’ function you can choose which video files you want to copy and which videos you want to skip. You are also allowed to select chapters, audio, and subtitles. 5. Merge: Merge multiple Blu-ray discs in to one single BD. Choose your desired copy mode, decrypt your Blu-ray disc and make a backup which can be saved on a hard drive. Faster Conversion: DVDFab Blu-ray Copy is equipped with performance technologies like Intel Quick Sync, Nvidia CUDA, and AMD acceleration. Depending on your PC’s hardware DVDFab will choose the best technology to boost the Blu-ray copy and conversion process. High end PCs are more capable of using these technologies for even lightning fast performance during copying and conversion. DVDFab Blu-ray ripper and decrypter is a perfect tool for ripping those encrypted Blu-ray discs. DVDFab Blu-ray ripper can rip and decrypt Blu-ray discs with ease. Blu-ray format isn’t supported by every device. So you can convert this format to other common video formats like MP4, MKV, or AVI. There are many video profiles available for ripping. You’ll find almost every video format you want your Blu-ray to rip with. Save the ripped Blu-ray content on your computer’s hard drive and play it on multiple devices. This Blu-ray ripper and decrypter also provide pre-configured device profiles for many devices like smartphones, tablets, and gaming consoles. It can also convert entire movies to audio files. Just pick up the profile to apply pre-configured settings. These settings are pre-configured and are different for different devices. With DVDFab Blu-ray ripper you can edit Blu-ray videos with the built-in video editor. It provides editing options like multiple trims, rotate, crop, watermark, and subtitle. Here’s an image showing its user interface. Note: Blu-ray ripping isn’t an easy task as it requires a powerful hardware for video conversion. But thanks to DVDFab Blu-ray ripper as it employs Intel Quick Sync, Nvidia CUDA, and AMD Acceleration. These technologies help increase the conversion process performance and larger videos get converted in least possible time. When the DVDFab Blu-ray Copy expires it gets converted to DVDFab HD Decrypter. It is a simple, free, and convenient version of Blu-ray copy. In HD Decrypter you only get two options for copying Blu-ray discs which are ‘Main Movie’, and ‘Full Disc’. Apart from that you can save the Blu-ray disc as a folder, and ISO with help of third-party disc image burning engine like ImageBurn. In HD Decrypter you aren’t allowed to burn a BD25, you can burn a BD50 instead. For burning a blank BD50 disc you’ll need a third-party burning engine like image burn as the DVDFab burning engine will no longer work with HD decrypter. These are the limitations of DVDFab HD Decrypter. But being cost free it is currently the best Blu-ray decrypter with clear and user friendly interface. Here are the two main functions of DVDFab HD Decrypter. 1. Full Disc: Decrypt and copy entire Blu-ray disc to a folder. For creating ISOs and burning a blank BD50 you will need ImageBurn. 2. Main Movie: Only copy the main movie from a Blu-ray disc. A Blu-ray disc can have multiple lengthy movies, these are referred to as main movies. If you select this copy mode then the longest movie will be selected by default. Important Note: To use ImageBurn as a third party burning engine you will first have to install it then go to ‘Common Settings’ by clicking the ‘Eject’ button just before the ‘Minimize’ button in DVDFab program. Now click ‘Drives’ and then select ‘Blu-ray write’. From the ‘Burnin Engine’ list select ‘ImgBurn’ and you can now burn blank BD50 discs and create ISO. You may find on internet some free Blu-ray decrypters like MovieRescuer, Make MKV, and BurnAware but believe me they are good for nothing. Instead of talking about these three free tools we present to you CloneBD Blu-ray Ripper. Though it is a trialware software but is worth your money. It is able to remove and decrypt BD+ copy protection in Blu-ray disc. And it can convert your Blu-ray movies to common video formats. If you are looking for a completely free and simple Blu-ray decrypter then check out Aurora Blu-ray Copy. It’s a free software for decrypting and copying Blu-ray discs to ISO files. It only does one thing which decrypt any Blu-ray and make an exact copy of BD as ISO file. It is a very limited Blu-ray decrypter but is fast when used for Blu-ray copying and decrypting. There are no options to select in this software. It is the simplest of all and does one thing. 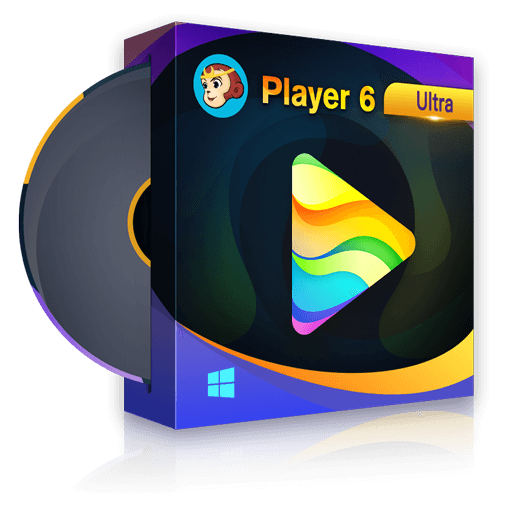 If you don’t want many functions and don’t want to invest money in paid Blu-ray decrypters then this software is really for you. It is cross platform compatible and works on Mac and Windows 10. Decrypting Blu-ray discs and saving them as a digital copy is a nice way to build your own movie library. In this article we provided you some highly useful Blu-ray decrypters which have the capability to decrypt and copy/rip any encrypted Blu-ray disc. DVDFab Blu-ray Copy and DVDFab Blu-ray Ripper are complete Blu-ray solutions which provide nice functions to deal with Blu-ray copying and ripping needs. If you want a completely free solution then check out DVDFab HD Decrypter which is indeed a powerful Blu-ray decrypter but with limitations. You can either try two more free tools MovieRescuer and Aurora Blu-ray Copy. Use Aurora to make exact copies of your Blu-ray discs and save them as ISO. Now it’s up to you which Blu-ray decrypter you will choose. If you want to decrypt DVD movies on your windows, you can try these DVD decrypters for Windows. This article gives a brief introduction to Galaxy S8 and S8+, and shows you how to rip Blu-ray to Galaxy S8 or S8+ with DVDFab Blu-ray Ripper.